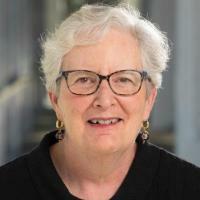 Ruth Grant is a Professor of Political Science at Duke University, specializing in political theory with a particular interest in early modern philosophy and political ethics. She is the author of John Locke's Liberalism and of Hypocrisy and Integrity: Machiavelli, Rousseau and the Ethics of Politics. Her most recent book is Strings Attached: Untangling the Ethics of Incentives. She is also the editor of two collections of essays; Naming Evil, Judging Evil and In Search of Goodness. Her work originally focused on the historical study of liberal thought and has moved increasingly toward contemporary ethics. Her articles have appeared in a variety of journals including APSR, Political Theory, Journal of Politics, and Politics and Society. She has received fellowship awards from the National Endowment for the Humanities, the American Council of Learned Societies, the National Humanities Center, and the Russell Sage Foundation, and a teaching award from Duke University.